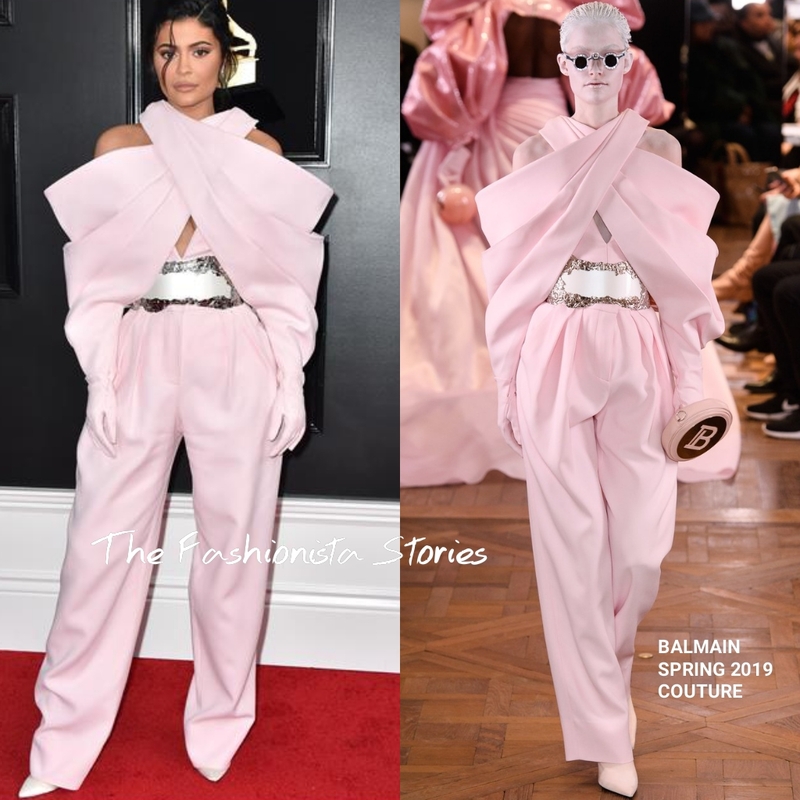 Following her attendance at the MusiCares celebration, Katy Perry along with Kylie Jenner wore BALMAIN SPRING 2019 COTURE to the 61st Annual Grammys Awards at the Staples Center yesterday evening(February 10th) in LA. Katy Perry is known for pushing the envelope style wise, and this futuristic BALMAIN SPRING 2019 COUTURE dress is right up her style alley. The strapless pink & silver hardware panel tulle gown, actually looks really great on Katy. This was the perfect statement piece for the Grammys. I think her beauty look was flawless, which topped off her look, along with earrings by DJULA. Kylie Jenner was on hand to support boyfriend Travis Scott who was nominated and performed. However she should have left this look on the runway or for the Rihanna's of the world because this is just a really bad look. I totally get that it is suppose to be baggy because that is how it was presented but she doesn't have the edge to pull it off.